Dr. Sanjay Joshi completes more PAR testing including 4 Orphek Atlantik products in the search for the best reef aquarium LED light ! We would like to thank Dr. Sanjay Joshi for continuing to share his knowledge of light with the hobby and also for graciously testing all of the lights involved. His contribution of testing has been a great thing for hobbyists and industry professionals alike. 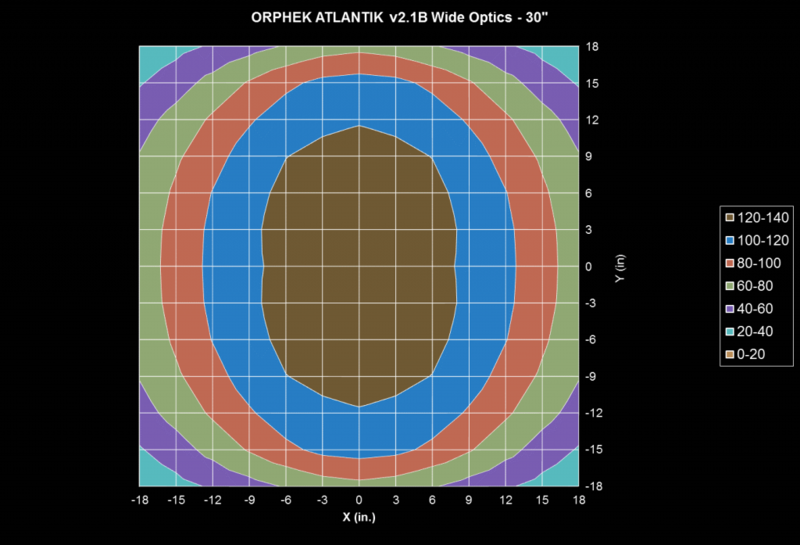 In this article Dr. Sanjay tested the Atlantik v2.1B Wifi wide, Atlantik Compact Wifi and the Atlantik Pendant Wifi. 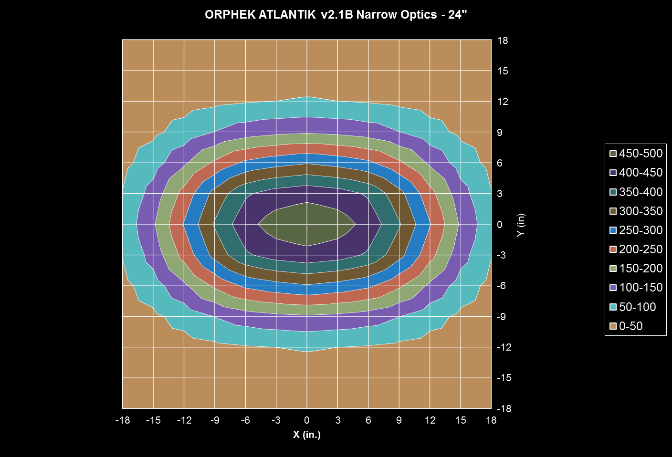 He also tested the Atlantik v2.1B with 90 degree optics for tanks 48 inches and over in height. The entire article has been posted at Reefs.com Magazine and is available for you to review along with all of his other previous testing. For your convenience we are reposting the article below with permission of Reefs.com. 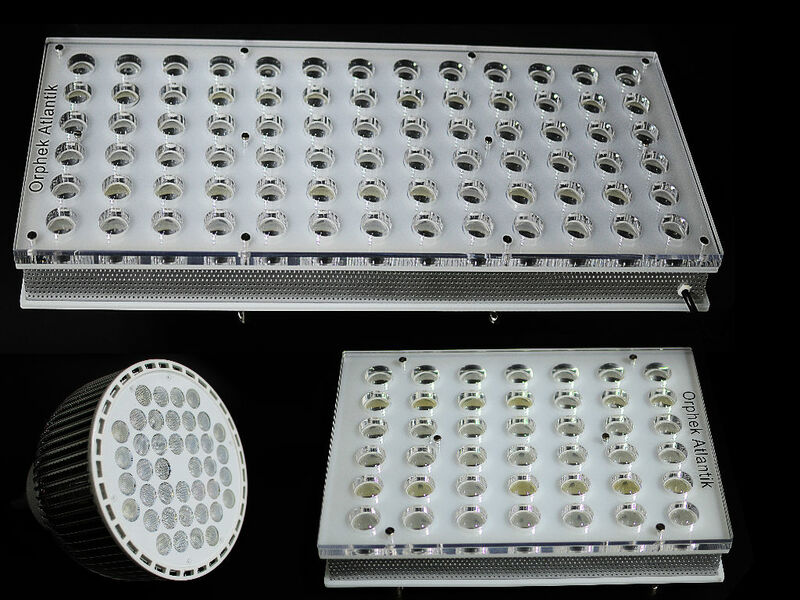 By Sanjay Joshi The offering of LEDs for the reef aquarium market continue to grow. It seems like almost every week a new lighting fixture is being introduced or being improved. 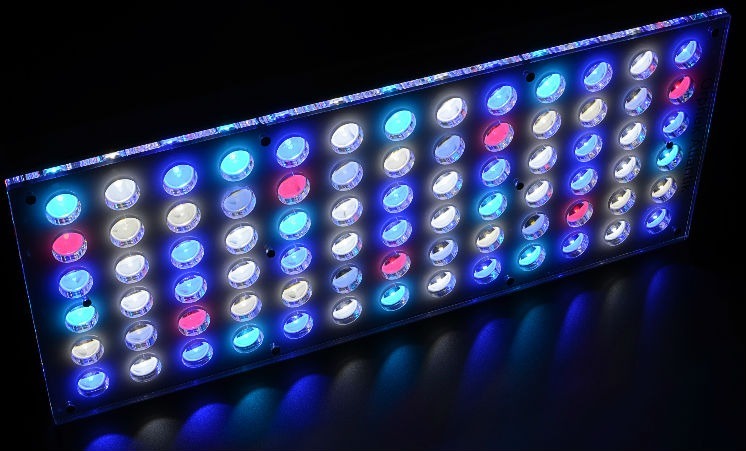 The sales claims and the media hype often makes it difficult for aquarists to properly choose and select LEDs using quantitative metrics related to light output. This question cannot be adequately answered without knowing what criteria is being used to define “best.” This criteria is often variable depending on the needs and constraints of the aquarist. I have often felt that a better question to ask is “Will this LED fixture meet my needs?” or “Given a lighting fixture, what are the operating constraints?” A key factor in answering these questions is the knowledge of the light output of the LED fixtures. 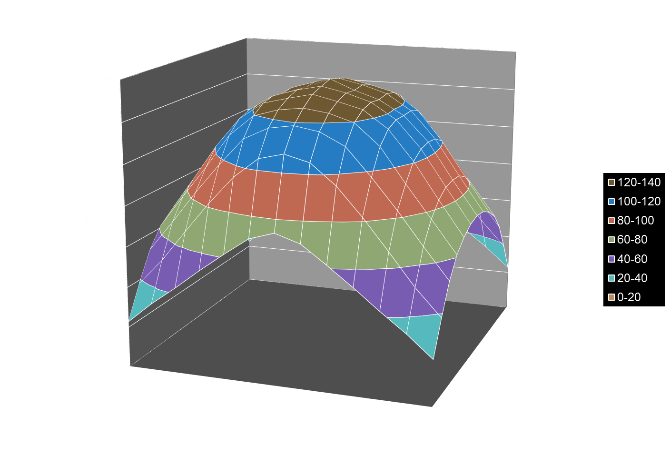 Unfortunately, this data is rarely ever provided by the LED fixture manufacturers, and even if it is provided it leaves a lot to be desired to use it in a practical manner. 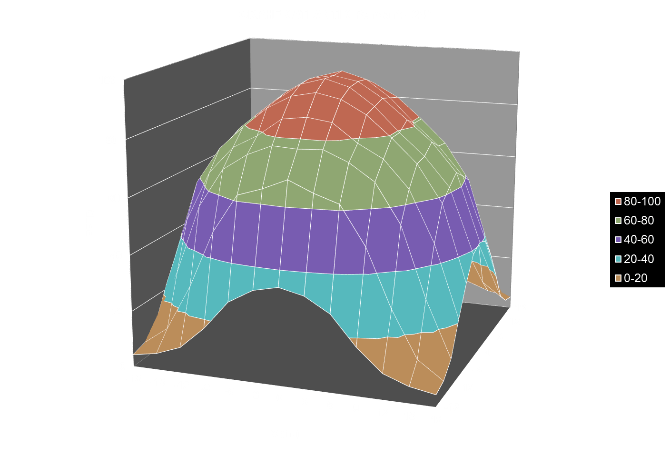 Often the data cannot be trusted, since the measurement approach and plan is not presented. Furthermore, there is no uniformity in the data provided to allow for a meaningful and systematic comparison across different LED fixtures. Over the last 15 or so years, I have been testing lighting for the reef aquariums using a consistent and openly described methodology. These test began with metal halide lighting and have continued to LED fixtures. All the data is freely available for use at www.reefs.com/lighting. 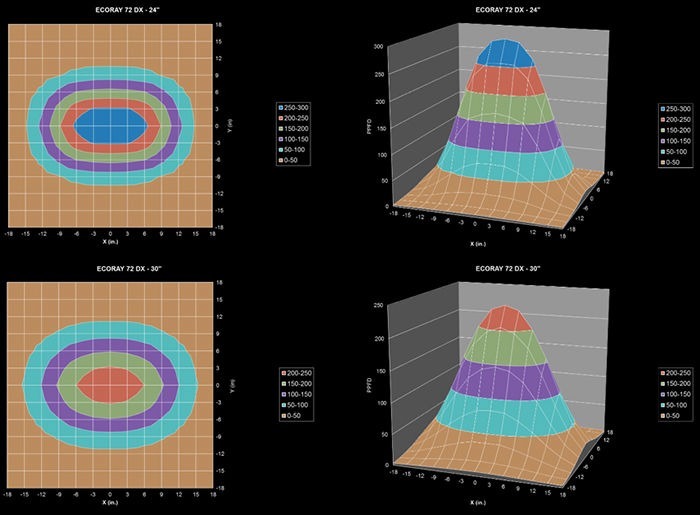 Continuing in the same vein as my previous LED lighting tests, this article presents data on light intensity and spread along with spectral plots for several of the new LED fixtures. 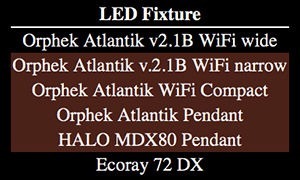 Table 1 presents a list of the LED lighting fixtures reviewed in this article. Each of these was tested using the same set up as my previous reflector tests, using a 3’x3? grid with a spacing of 3? in the X,Y direction. The fixtures were centered on this grid, and PAR was measured as PPFD (Photosynthetic Photon Flux Density) in micromoles/m2/sec using a LICOR 1000 data logger and a LI-192SA underwater cosine corrected sensor calibrated for both air and water. The data logger was set to average five readings for each data collection point. Power draw was measured with a kill-a-watt meter. 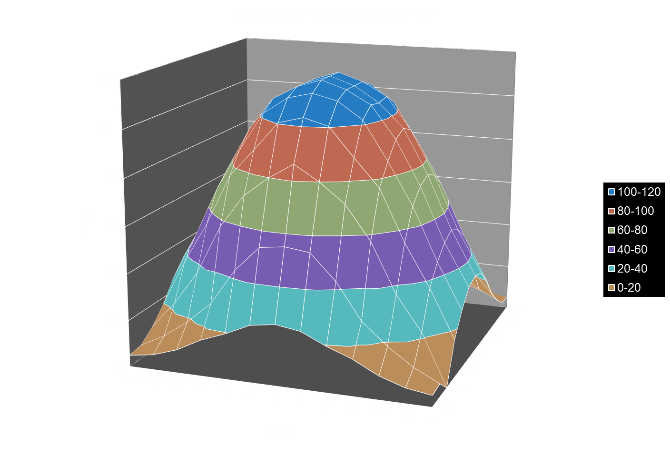 The data was imported into Microsoft Excel for analysis and the data was plotted to display the light spread and intensity at various distances. 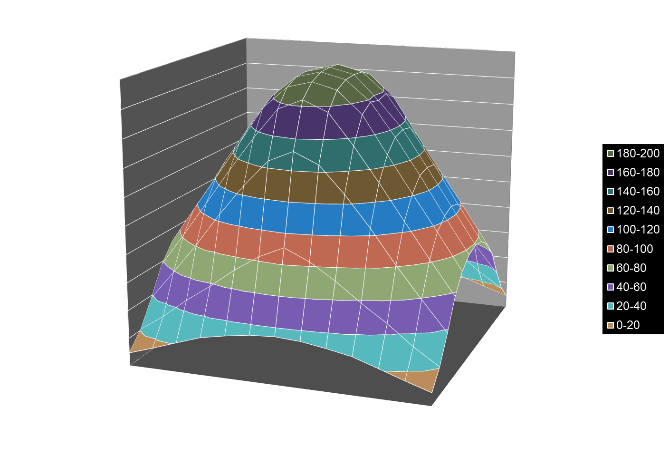 The Orphek Atlantik v2.1B WiFi is the latest generation of LEDs by Orphek. 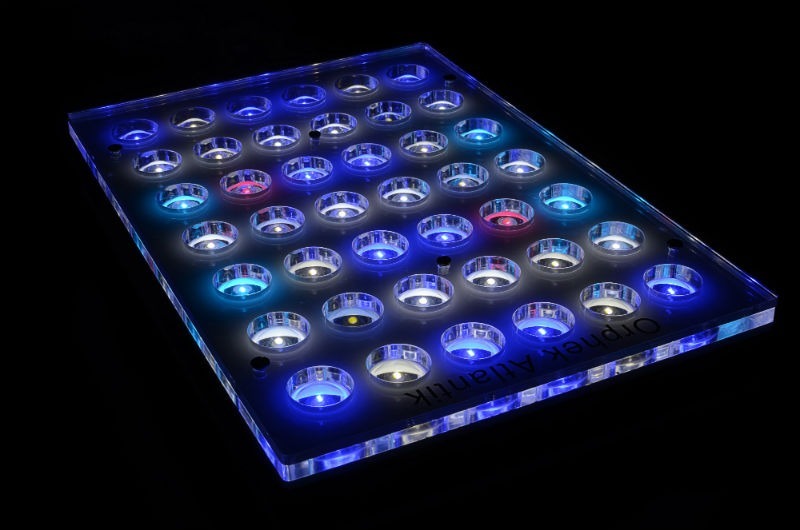 Seventy-eight LEDs with individual optics and eight different custom built LEDs are used. The LEDs are arranged under four channels of control, with full dimming in all the channels. The LEDs used are dual chip LEDs which are a combination of white and colored LEDs. Channel 1 controls the twenty 18,000K white LEDs and four cyan 470 nm LEDs, Channel 2 controls the seven cyan 470nm LEDs and twenty-one 450-460nm LEDs, Channel 3 controls dual chip white UV that create white LEDs which peak at 410nm (4), 420nm (4) and 395nm (4) LEDs, and the final Channel 4 controls seven dual chip white/red LEDs and four dual chip UV/white 420 nm-6000K LEDs. The lights can be controlled wirelessly using the Android tablet supplied with the lights. The unit as tested had the wide optics, and was tested at full power, measured at 207W using a kill-a-watt meter, with a input voltage of 128.5W, 2.82 Amps of current and a ballast power factor of 0.56. Similar in configuration to the wide version, the narrow version uses 90 degree optics to limit the spread of the light. This results in more narrowly focused light as seen from the distribution. The focusing increases the intensity while reducing the spread when measured at the same distance. This unit had a power draw of 212W, with input voltage of 129.1V, input current of 2.55 Amps and a ballast power factor of 0.64. 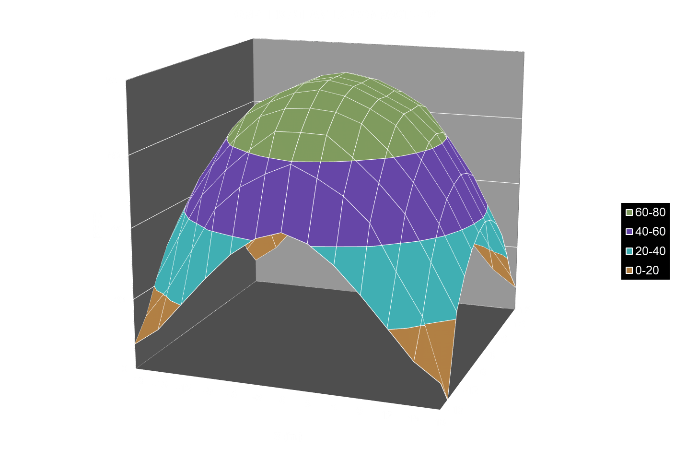 The Orphek Atlantik Compact is a smaller more compact version of the larger Atlantik v2.1B. It includes eight different LEDs and a total of forty-two customized LEDs arranged under four channels of control, with full dimming in all the channels. Wireless LAN functionality allows the lights to be controlled wireless through phone and tablet apps. The unit as tested had the wide optics, and was tested at full power, measured at 122W using a kill-a-watt meter, with input voltage at 128.3V, 0.94 Amps, and a power factor of 0.99. 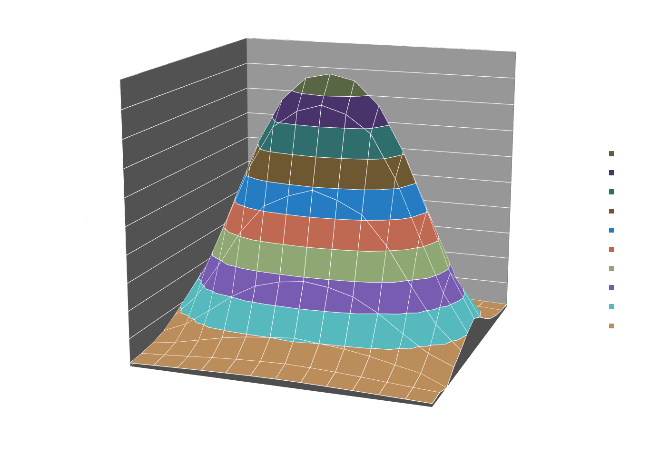 The Orphek Atlantik WiFi Pendant uses forty customized 3W LEDs, arranged in four control channels. Eight different types of LED are used, similar to the LEDs in the other Orphek lights. Channel 1 controls the ten 18K white LEDs, Channel 2 the ten Royal Blues at 450nm, Channel 3 controls the ten Blue 470nm, and Channel 4 controlling the four dual white UV with peak at 410nm, four dual white 420nm, and two dual white red LEDs. The fixture was tested with all LEDs at the maximum setting. Under this setting, the power draw measured 109W, with input voltage of 128.3V and current of 0.85A with a power factor of 0.99. The unit was only tested at 24? due to the size of the pendant and the limits of the measurement volume. The Aquatic Life Halo MX80 is a small pendant light with an LED array of twenty-five LEDs in a combination of UV, cool white, blue, and royal blue. 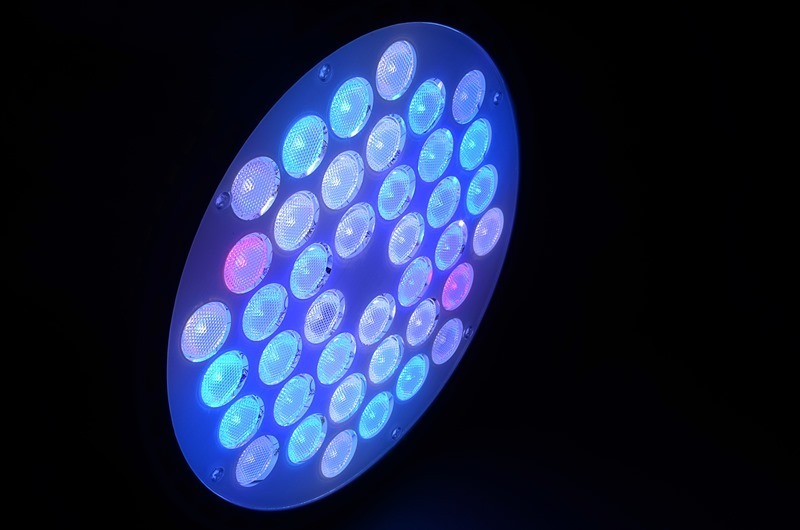 The LEDs controlled via two channels, with Channel 1 controlling the seventeen UV and various blue LEDs, and Channel 2 controlling the four cool white and the four remaining blue LEDs. Control knobs on the LED can be used to adjust the intensity and spectrum manually. 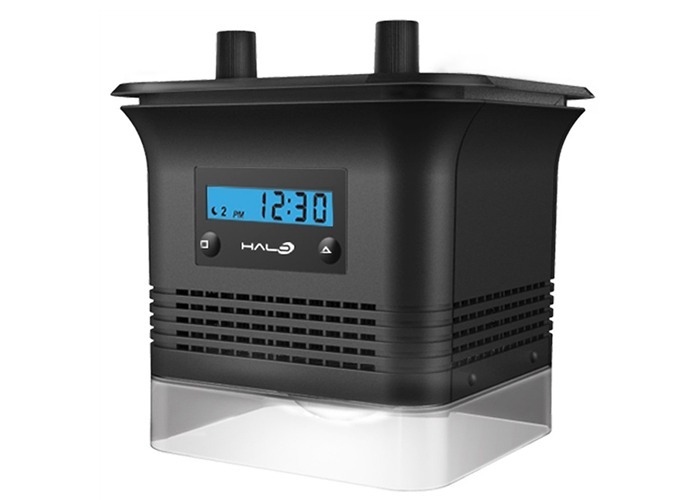 There is a built-in programmable timer that can program each channel’s start and stop time. As tested, the LEDs were operated and maximum output which measured at 92W using the kill-a-watt meter, with input voltage of 128.9, current of 0.71 A, and power factor 0.99. 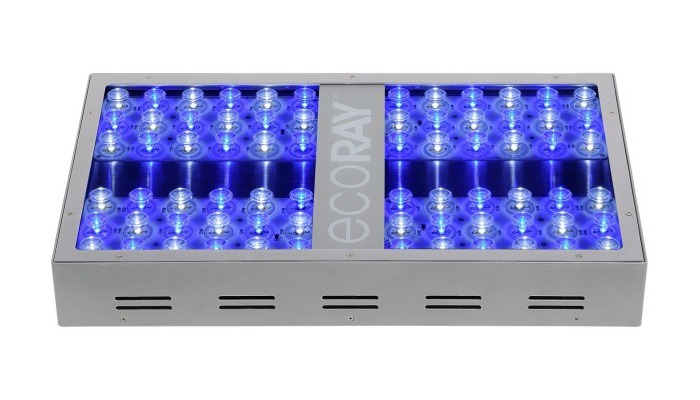 The Ecoray 72DX from Underwater World, is an array of seventy-two LEDs, with thirty-six white and thirty-six royal blue LEDs. Two control knobs provide separate control of the blue and white channels. The fixture has fairly narrow optics resulting in high intensity and small spread at the measured distances. Discussion The data provided can be used to make informed decisions for the purpose of planning the lighting for an aquarium. In my experience, for most practical purposes PAR values of about 60-80 micromoles/m2/sec at the bottom of the tank are usually an indicator of adequate light to keep most of the higher light loving SPS in the top half to two-thirds of the tank, with the bottom third of the tank for the lower light corals. Also keep in mind the two properties of light (1) The light intensity and spread can be changed by raising or lowering the light. Raising the lights will reduce the peak intensity while increasing the spread of the light, and similarly lowering the light will increase peak intensity while reducing the spread. (2) Light is additive – adding a second fixture will double the light intensity in the areas of overlap. 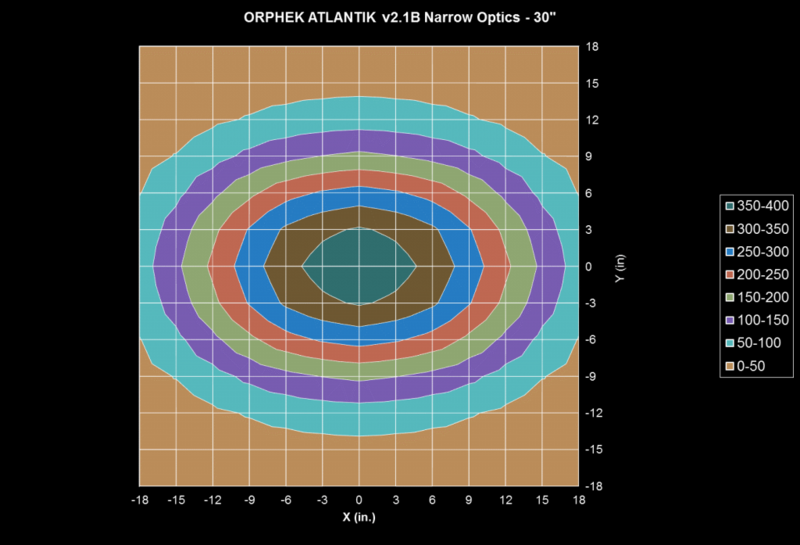 For the purpose of comparison, all plots (except for the Ecoray 72DX and Orphek Atlantik narrow optics – increments of 50) are plotted on the same scale with increments of 20. Also while making comparison’s note that the power consumption on the LEDs is not the same. 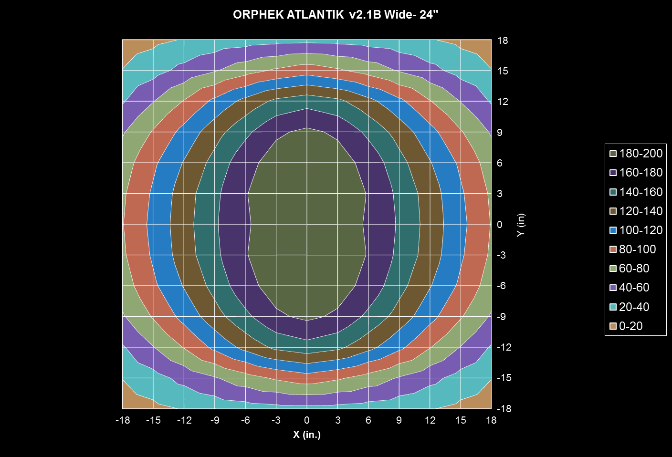 For example the Orphek Atlantik v2.1B draws almost 206W of power, compared to the 93W of the MX80 pendant. Assuming equal efficiencies in the best case, a higher power consuming light will have a higher output. Rather than using the data to make outright claims that one light is better than the other, a more useful approach is to use the data to infer the potential use situation for the lights. 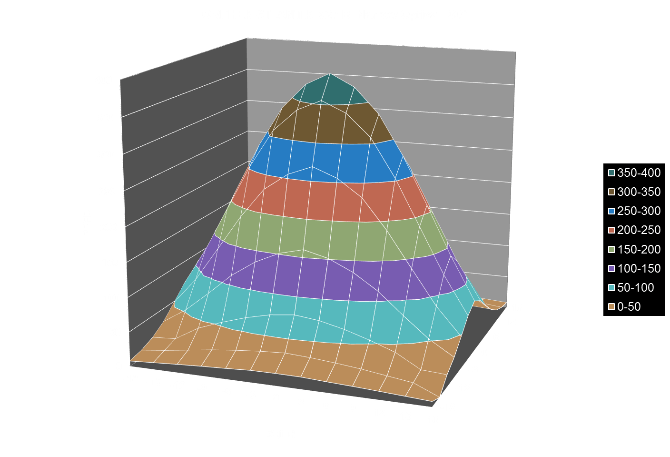 The Ecoray 72DX and the Orphek Atlantik v2.1B with 90 degree optics are designed with fairly narrow optics and tends to focus the light into a smaller area as compared to the other LEDs tested here. Hence the PAR values are considerably higher at 24? and 30?. To get a larger spread these lights would have to be mounted much higher, or they can be used to light deeper tanks more effectively. The Orphek Pendant drawing 102W and the Halo MX80 Pendant drawing 93 Watts are fairly close in power consumption, with the Orphek providing a larger spread with larger area of higher intensities. 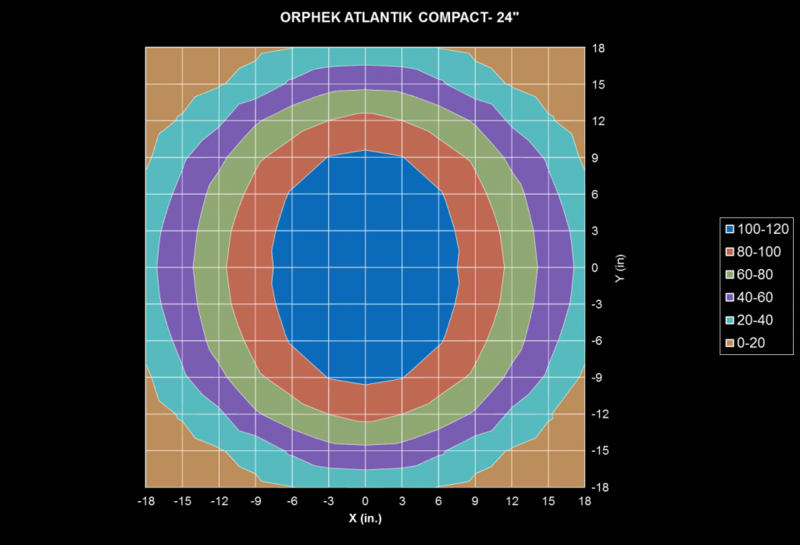 Additionally, the Orphek provides a wider range of spectrums in the LED mix. 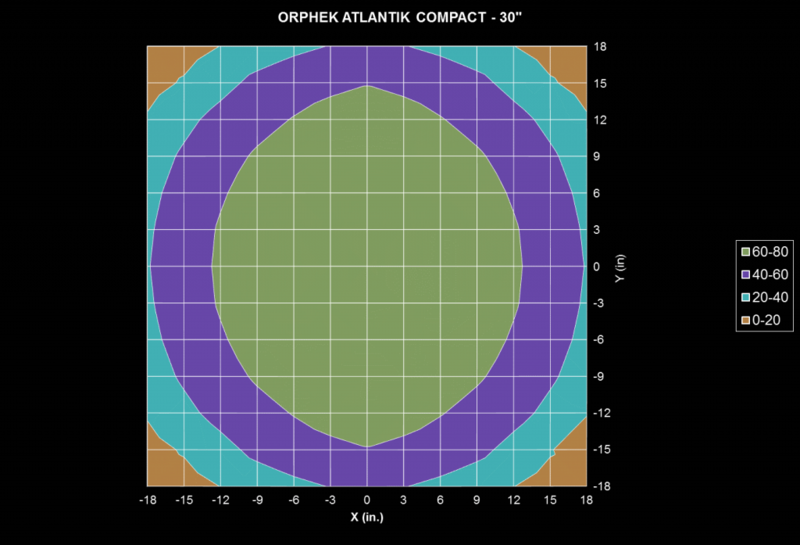 The Orphek Atlantik v2.1B with wide optics is an excellent option for wide tanks. As seen from the data, there is an almost 30?x36? coverage of area where the light intensity is greater than 80 micromoles/m2/sec, while still achieving high intensity of over 120 at 30? away. Other factors that may be considered while comparing the lights is the controllability and features provided by the various lights, along with the costs. An important criteria that should not be ignored is the ability of the manufacturer to provide service. LED lighting has come a long away in the last few years. 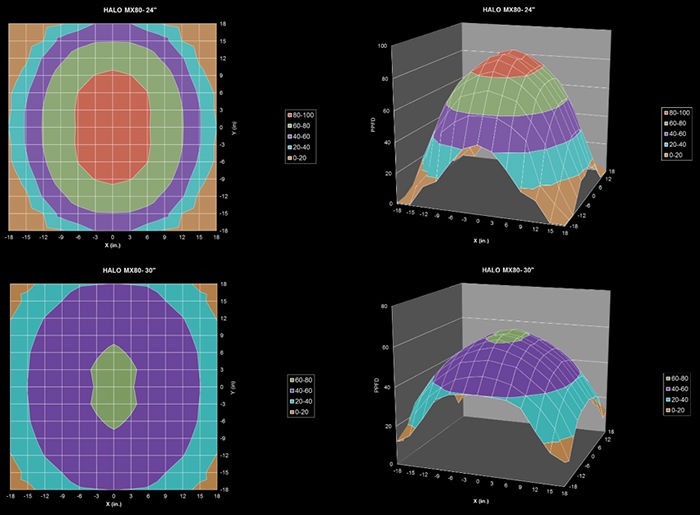 The data clearly shows that there are wide range of LEDs that can adequately provide the lighting requirements for keeping and growing coral and using the data provided can be used to select a lighting system that would meet the needs of the user.